6pm.com is an online retailer that sells clothing, footwear, and accessories for men, women, and children. Here, you can shop from some of your favorite high-end brands for lower prices. With Big Apple Buddy’s personal shopping service, you can now buy direct from the 6pm online store anytime, anywhere. At 6pm.com, you can shop from a variety of looks and styles from brands like Merrell, Columbia, and Steve Madden. Get your hands on this Amethyst Dress from high-end designer Zac Posen for a fraction of its original price. This dress can take you from work to play: simply decide if you want to dress it up or down, and you’ve got a flawless look either way. You can also shop from a variety of high-end accessories, including handbags. 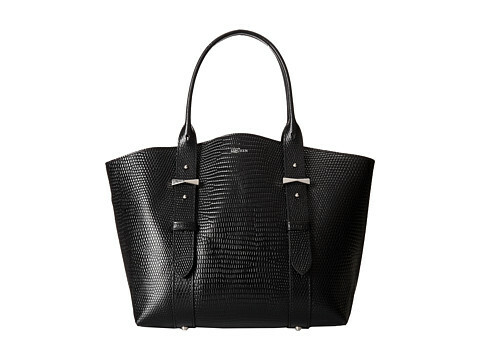 This Alexander McQueen Legend Small Shopper comes in either a stunning black or green color and is the perfect bag to tote around whether you’re headed to the airport or just shopping around. This leather handbag is roomy enough for all of your everyday essentials and its flat bottom design enables you to neatly place it down anywhere. There are plenty of options for men at 6pm.com as well. This Phillipp Plein J. Bond Button Up will stick out from all the other dress shirts in your closet. The collar is designed with a metallic studded pattern that will instantly add some flair to any outfit. 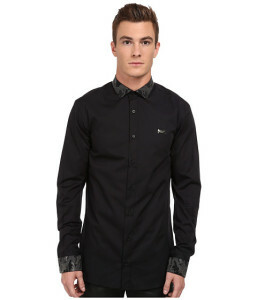 Break out of the fashion standard and do something totally new with this Phillipp Plein shirt. Unfortunately, the USA 6pm online store does not currently offer international shipping. However, Big Apple Buddy, your personal shopper, can help you buy products direct from the official USA 6pm online store and ship them to your doorstep, no matter where you are in the world. If you would like to buy from the USA 6pm online store, simply let us know which items you would like to order (by filling out the form below) and we’ll get back to you with a free international shipping quote within 24 hours!